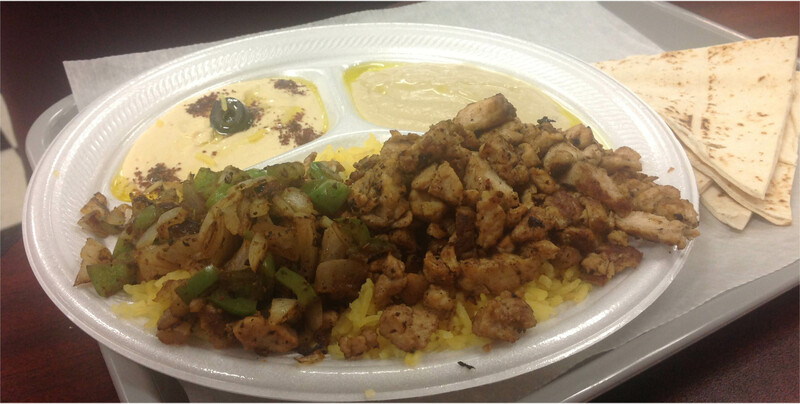 Chicken Shawerma, complete with salad, rice, hummus, baba ghanoush and pita bread, is one of Go-2-Grill’s signature servings, available as a dinner plate or lunch serving. One of the great things about living in the Birmingham area is the fact that we are blessed with many good restaurants. For just about any type of cuisine you could want, there is probably at least one good place, if not two or three. For Colleen and me, Mediterranean food is a favorite. The term Mediterranean, of course, carries a rather general geographic reference, and can include food from lots of cultures, including Greece, Lebanon and Italy, to name just a few. We were saddened when, a year ago this month, a locally run Persian restaurant in Hoover that had been a favorite of ours shut its doors, limiting our choices. Owner Mike Alassi is usually behind the register, and is always happy to explain the ingredients in Go-2-Grill’s varied offerings. But there are still options to sample cuisine from cultures afar, and the Go-2-Grill in Hoover may pleasantly surprise you. Opened by owner Mike Alassi in January of 2012, Go-2-Grill used to be known by a different name: The In-N-Out Grill. Though Alassi changed the name a couple of months ago, everything else—including the menu—remains the same. 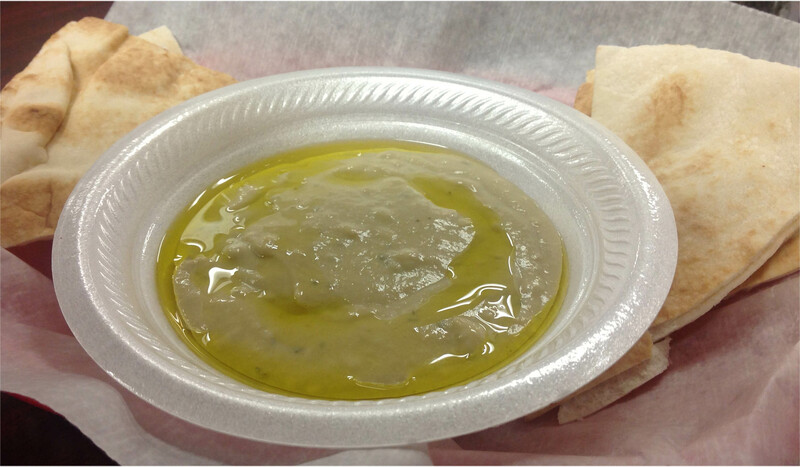 Go-2-Grill is one of the few places in Birmingham where you can enjoy Baba ghanoush, a dish usually made with eggplant, tomatoes and other vegetables and that’s popular as an appetizer throughout much of the Middle East. Located in the WalMart shopping center at 2978 Hwy 150 in Hoover, Go-2-Grill is admittedly a bit short on atmosphere. With fluorescent lighting, paper plates and utensils, there’s little to convey a Mediterranean setting, but we’re not counting off for that. What does impress is the food. When Colleen and I visit, we typically choose from the Greek offerings. These include grilled chicken kabobs, lamb kabobs, gyros, tahini or Falafel (a traditional Arab concoction of ground chickpeas and fava beans). But Go-2-Grill also appeals to folks looking for standard American fare. In fact, though we’ve not tried them, we’ve heard comments that the burgers are outstanding, while others rave about their wings and baked potatoes (giant size and loaded). We have always found the service to be friendly. 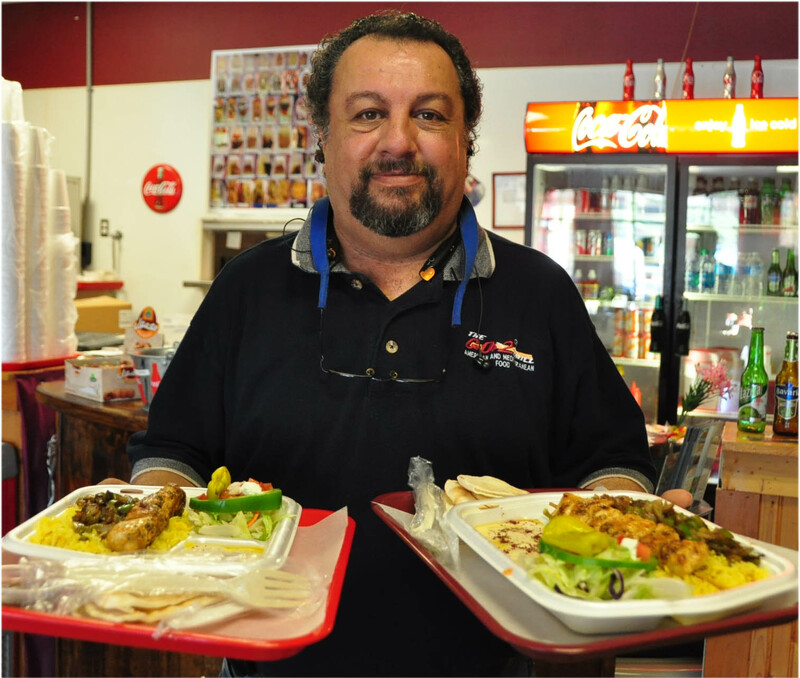 You’re likely to find Alassi himself at the register much of the time, and we appreciate his always checking with us to make sure the food is good. If the choices overwhelm you, Go-2-Grill has lots of pictures of their entrees on the walls to help you decide. Desserts include baklava, a rich and sweet pastry made in layers with phyllo dough, nuts and honey. You can order to go by calling 205-444-2014. You can find Go-to-Grill on Facebook, too.